For months now, Unified Contact Center Express (UCCX) solution users have been eagerly awaiting the release of Cisco UCCX V 12.0. With the release, several new features will become available to users, including some major upgrades to Cisco Finesse. The release, expected any day now, touts new features and a more intuitive user interface – improving on what Cisco has been calling out for some time – the user experience. Widgets, capabilities, configurations and more! The new Cisco UCCX V 12.0 is going to feel a lot more like the smooth SaaS solutions folks are familiar with, and less like a clunky late 90s product. One great example is the new Calendar Management feature. This smart new feature will save contact centers a lot of work. In the past, business hours, holidays, and other schedule changes had to be manually configured by a UCCX expert. With the Cisco UCCX V 12.0 release, administrators will be able to create and configure calendars easily. That includes sharing. Admins will be able to assign supervisors calendars for management and associate calendars with both applications (using Application Management) and chat (using Chat Widget Configuration). Reporting is also undergoing a lot of changes, with enhanced features for chat, email, and agent detail reports. UCCX, which is a top outbound dialing campaign platform, will have new outbound capabilities, too. The Cisco Unified Intelligence Center enables comprehensive contact center reporting. Historical reports, dashboards, presentation tools and more are rolled into the UIC. The Cisco UCCX V 12.0 release is offering some much-needed updates to the UIC. Overall, the changes to the Unified Intelligence Center are focused on user experience, allowing administrators and users a more intuitive experience focused on sharing, creating, editing, and managing the UIC tools. Finesse V 11.5 felt pretty much the same as earlier versions (see screenshot below). Lots of white space, outdated design features, and – in general – not much changed. The release of Cisco UCCX V 12.0 is putting Finesse back in the spotlight, with a whole new look and feel. A new left navigation bar, which can be pinned or unpinned by users, provides smooth transitions with pop-overs to help guide the agent easily between incoming calls and digital channels. Former Cisco Agent Desktop (CAD) users will breathe a sigh of relief to hear of the return – and improvement – with agent <-> agent and agent <-> supervisor chat messaging in the new version of Finesse. Figure 2: Cisco Finesse V 12.0 Queue Management Screenshot; note summary, report, and analytic widgets providing a more intuitive experience. Left navigation bar can be pinned/unpinned on individual user-basis. Finesse 12.0 has improved voice state control and a more customizable experience. Plus, the addition of a dashboard – or cockpit – will enable agents and supervisors to more quickly assess and act. In addition, the release includes API support in multiple browsers and operating systems. Plus, no features are deprecated, which can be a comfort to users who have found a tool that works for them. Are You Ready For The Release? It’s coming. Thankfully, as a long-time Cisco Gold Partner, Mindsight’s contact center team is ready. 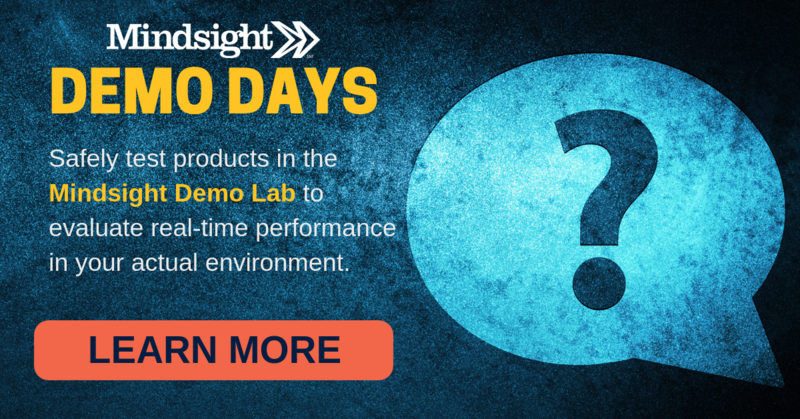 If you’re interested in testing the new Cisco UCCX V 12.0 in your environment, sign up for Mindsight’s weekly Demo Days – our (free!) hands-on lab experience where we safely test the solution in your environment – or contact us today. Contact us today to discuss using Cisco UCCX V 12.0. Mindsight, a Chicago IT services provider, is an extension of your team. Our culture is built on transparency and trust, and our team is made up of extraordinary people – the kinds of people you would hire. We have one of the largest expert-level engineering teams delivering the full spectrum of IT services and solutions, from cloud to infrastructure, collaboration to contact center. Our highly-certified engineers and process-oriented excellence have certainly been key to our success. But what really sets us apart is our straightforward and honest approach to every conversation, whether it is for an emerging business or global enterprise. Our customers rely on our thought leadership, responsiveness, and dedication to solving their toughest technology challenges. Siobhan Climer, Science and Technology Writer for Mindsight, writes about technology trends in education, healthcare, and business. She previously taught STEM programs in elementary classrooms and museums, and writes extensively about cybersecurity, disaster recovery, cloud services, backups, data storage, network infrastructure, and the contact center. When she’s not writing tech, she’s writing fantasy, gardening, and exploring the world with her twin two-year old daughters. Find her on twitter @techtalksio. Mindsight is a technology consulting firm that provides thoughtfully-crafted and thoroughly-vetted perspectives to its Chicago area clients’ toughest technology challenges. Fill out the form below to get the answers you need from one of Mindsight's experts.